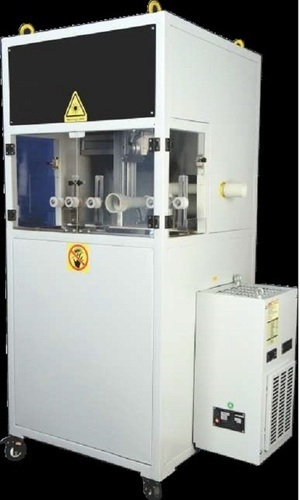 Established in the year 2014, we "Sterile Safequip And Chemicals Llp " are one of the renowned manufacturers, traders, exporters and importers of an extended collection of ETO Sterilizer and Autoclave Machine. We are offering a complete range of ETO Sterilizer, Steam Sterilizer, Autoclave Machine, Laboratory Sterilizer, Dental Autoclave, Rectangular Sterilizer, Hot Air Sterilizer and Plasma Sterilizer. Offered products are manufactured using only high-quality materials at our strong and sophisticated infrastructure unit. These products are admired by our patrons for their high strength, shock proof, highly flexible and long service life. Also, these products are used in laboratory applications and are ideally suited for critical applications which require total destruction of all living microorganisms. Behind the overwhelming success of our organization lies the support and reliance of our patrons, who have been in association with us for years. We have a team of professionals, who have experience in this domain. Working under the specification laid by the industry and adopting ethical business policies has drafted the way for us to reach the pinnacle of success. Their knowledge had led us to mark a good name in this competitive market. With the help of our latest technology based manufacturing unit, we are designing high-quality products.